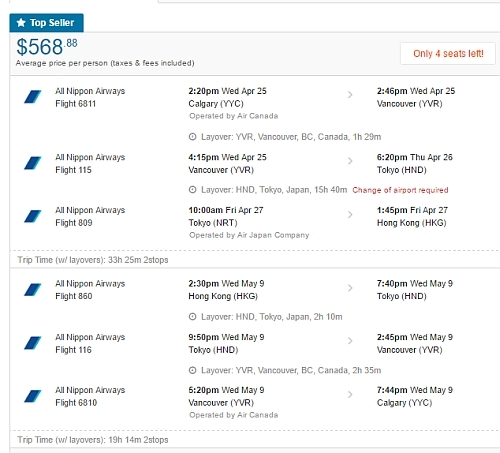 Similar to the Thailand deal, ANA (All Nippon Airways) is showing a few flights from Calgary to Hong Kong for $568 CAD roundtrip including taxes. However, these flights have a long layover in Tokyo, Japan on the way there (15 hours or more). 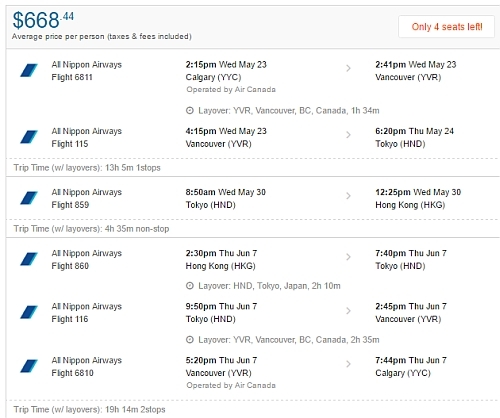 You can also extend the layover in Tokyo, Japan to multiple days, for $100 more. For your start and end dates, try using dates from the list of regular roundtrip dates above. Play around with the middle date to give yourself more or less time in Japan vs Thailand. Which means spending the majority of your time in Japan, with just 2 days in Hong Kong at the end. 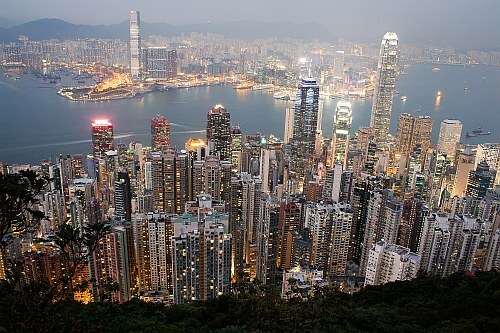 One Response to "Calgary to Hong Kong - $568 CAD roundtrip including taxes | ANA flights, add Japan for $100"
Thanks! Do you know if there are any for HK and Osaka trips? Thanks!